Binaural processing where the hearing aids in each ear communicate wirelessly to adjust volume or program. 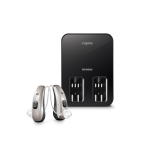 In some hearing aids, such as the Signia Nx or Phonak Audeo, the wireless communication between ears is used to improve the directionality of the hearing aids, resulting in clearer speech understanding in noise. The narrow directionality feature of Signia hearing aids has been found to provide better speech in noise understanding than achieved by a normal hearer. Wireless technology so that sound from devices such as your mobile phone or television is transmitted directly to your hearing aids. So, you don’t need to hold a mobile phone to your hearing aid to answer calls, and you can adjust the volume of the TV for you, without turning it up for everyone else. Trainability: you can adjust the bass and treble and volume of your hearing aids in different environments so that your hearing aids learn you preferred settings for different environments, such as for music or listening at a meeting. 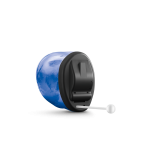 Rechargeable: There are 2 types of rechargeable hearing aids: those that need their batteries replaced every 12 months, and the battery door opens, or completely sealed in lithium-ion batteries that are designed to last at least 3 years.